Stux Linux is an unique Linux distribution. Version 0.8.1 was released on the 7th and Distrowatch reports, "The new version is a quick bug-fix update to the new 0.8 series, which the developers launched a week ago. Some of the new features include: "Based on Slackware Linux 10.2 and Knoppix 3.7 for kernel and modules; all procedure and interfaces have been substantially reviewed; added boot option 'toram' to load STUX image in RAM and run from there; STUX Network Panel added - configure network for dial-up, ADSL, ethernet and wireless connections; STUX Media Center added; USB support enhanced; hard disk and USB installation process enhanced; created BitTorrent UI, also integrated in Firefox....""
It was quite the surprise to boot the livecd and watch a Knoppix init and hardware detection, being under the impression Stux was based on Slackware. However, this impression was correct. How did those developers come up with that idea? But the surprises don't end there. Wait until you see the desktop. The default desktop environment is KDE 3.4.2. 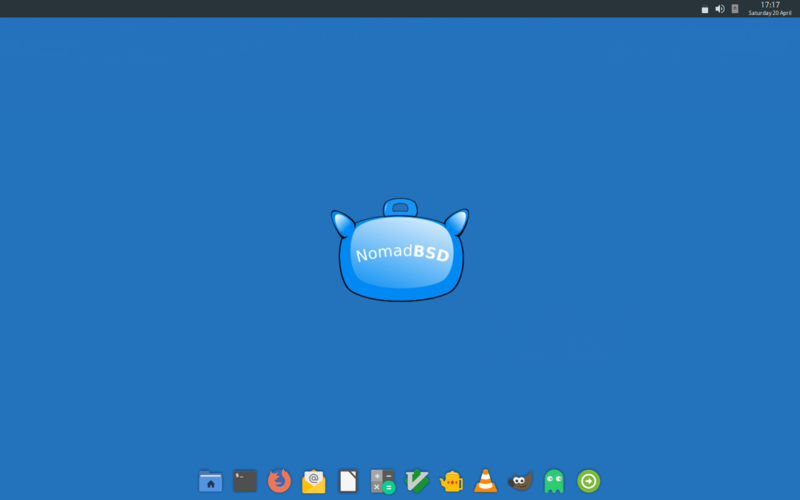 What makes this desktop unique is some of the customizations put in place. Granted most of them are mere KDE options, but how many developers have the courage to ship with them? Not so different is the gkrellm on the desktop in a transparent theme, nor the background of the famous blue-blend. Not so distinctive is the menu or even the windec and icons. Where the differences start are the panel arrangements. First is the launcher at the top of the screen, auto-hiding yet with a transparent background when visible. That in of itself may not impress, but it is also accompanied by the main panel at the bottom of screen with of course, transparency enabled, and also a few well chosen applets. The kasbar on the right, auto-hiding, as well as side-bar on the left were also something one doesn't encounter everyday in a distro by default. It's different and refreshing in a way, however I think the main panel is a bit too cluttered. The cpu and memory monitors should probably be turned off and that functionality added to gkrellm, and that mixer is overkill as well. Most functions of a mixer are inoperative or not used very often in my case and suspect it may be so for many folk. That could at least be trimmed down if not removed completely. There is a mixer plugin for gkrellm as well and if stux is gonna have gkrellm on the desktop at boot, I say incorporate what they can into it. In addition, noatun has never been a very good application for me, I'm not sure I'd leave that applet either. But these are personal preferences and if installed onto the harddrive or saved the configuration I could easy change. I was quite impressed with the Stux Control Center. From there one can configure various hardware devices, install software, and install the system to hard drive or even an usb key. It is different from other distro's control centers in presentation and functionality. Not only can you configure your system through it, but it is also an application launcher. It has several application buttons running down the right side as well as having a menu of clickable links. As stated I was quite impressed with it even if I encountered a few niggles. I've been using Stux for a coupla days and I first began having issues when I attempted to use the control center to adjust my mouse settings so my scroll button would work. It wrote the new configuration and restarted X, but the system became quite sluggish and there was artifacting and visual corruption afterwards. I figured the scroll wasn't worth it, so I just rebooted to get the original default settings and performance back. But throughout the course of the day, surfing the internet, checking webmail, and trying to take screenshots and write this article, X has crashed out on me a few times and sent me out to the terminal. X always restarts, but it can be annoying when you haven't saved your work in a coupla paragraphs. However, the system seemed much more stable after a hard drive install. Your mileage may vary and you may not experience any negative issues with the livecd at all. The greatest achievement in Stux I believe is their Stux Control Center as introduced above. It's unique appearance and the fact it opens upon start bring it into attention immediately. One of the functions it contains is a package manager. Besides the qtswaret found in the KDE menu, Stux seems to have its own package manager that can download Stux packages and install them to disk or ram. I decided to test the install to ram feature for the nvidia drivers, but alas I was met with a "not enough ram error." As my machine only contains 512mb of ram, my only recourse was to install onto harddrive. The harddrive install is another unique interface with lots of nice options. There's a really nice description on the Stux site, but basically one clicks the harddrive target partition and check boxes for options. Some of these options include Install Current configuration which copies the root and etc partitions as they presently exist, format device, and install bootloader onto harddrive or mbr. There are buttons to launch qtparted or cfdisk if needed as well as option to create a boot floppy. My experience with the harddrive install was mixed. I installed twice on two different partitions hoping to ascertain the most appropriate configuration of the installer. The first time the install itself went smoothly and I made a boot floppy to boot the system. It booted but locked up because of the "nv" driver bug, despite having edited the xorg.conf file for vesa from another linux install in order to avoid that. The fly in the ointment is that on every boot Stux/knoppix hardware detection is not only checking for new hardware each boot, it rewrites every config file previously edited. Not good. The second install I unchecked "install current configuration" and it wouldn't even boot. It hung right after starting "multi-user" with an error about read-only filesystem. Ho hum. So back in the original install, I tried to run the Stux package manager to install the nvidia drivers. It downloaded its nvidia package and tried to install it, however it errors out with the message something about the glx library missing. The kernel source was included, so I exited KDE and installed them using nvidia's installer/package. The Stux process edited the correct files however for use of the drivers upon reboot, indicating that it was just a problem with the package itself. With the mixer and noatun applets big and bold and taking up much of the panel, it appears that Stux is trying to be an out-of-the-box multimedia system as well. In testing I found that xine could in fact play most of the video files I had on hand if it was in a standard video format such as mpeg and avi, further the win32codecs were available for installation through the Stux Packages installer. xawtv performs well after configuration of drivers and settings (as with any xawtv install), however I couldn't persuade xmms or kscd to play any audio cdroms. Flash and java weren't installed, but java was available through the package installer and installed without incident. As far as applications, besides the full compliment of KDE applications, Stux is well equipped with many popular packages such as gimp, firefox/thunderbird, abiword and koffice, amule, gaim, xsane and qtswaret. There really aren't too many games, but there are several premier games or demos in available through the package installer. So in conclusion, I think those Stux fellars might be onto a something a little different and out of the ordinary. As many people grow weary of the same ole same ole, Stux might have a chance to rival some of the big boys. They have some brave and bold default configurations that add to the user experience as well as wonderful original tools. Stux might need some more maturing and a bit more refining, but I predict great things to come of this project. If you're looking for something a little different, you just might become stuck on Stux. More Screenshots in the gallery.